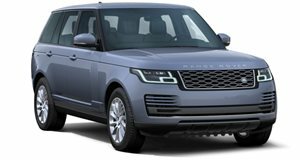 Land Rover started the entire luxury SUV genre. Now it’s just shown off the last word in this ongoing battle. Ironically enough, the name Velar is derived from the Latin word “velare,” which means to veil or to cover. Catchy name aside, the upcoming Land Rover Velar has been anything but a secret. Word of the mid-sized Range Rover, which has its name derived from the original Range Rover prototypes of 1969 (which were actually kept a secret) and will slot between the Evoque and Range Rover Sport, came to light recently but this time around, Land Rover has given us a handful of teaser images to work with. As the fourth member in the Range Rover family alongside the original Range Rover, Range Rover Sport, and Range Rover Evoque, the Velar will bring the battle to the mid-sized SUV segment, one of the most hotly contested segments in the already red-hot luxury SUV market. Originally dubbed the Evoque XL, the Velar takes the Evoque’s styling and fuses it with the slightly more masculine lines of the Range Rover Sport. From what we can see in the teaser images, the roof will be glass, giving passengers the feeling that the cabin is infused with unlimited headroom. Through the glass in the teaser image we spot a large infotainment screen set amongst an interior that’s unmistakably Land Rover. Riding on JLR’s IQ platform, it will likely handle similarly to the Evoque while feeling a bit more planted thanks to a wider track. Based off the teaser image depicting the Velar surrounded by the rest of the Range Rover family, we can infer that it will be a slight bit taller than the Evoque as well. While we can’t see the front or the sides of the Velar, Land Rover Chief Design Officer Gary McGovern claims, “We call the Velar the avant-garde Range Rover. It brings a new dimension of glamour, modernity and elegance to the brand. The Range Rover Velar changes everything.” As with the rest of the Range Rover lineup, off-roading will be in the Velar’s DNA alongside a luxurious presence sure to pique the interest of shoppers in luxury store parking lots. We’d love to tell you more about the Velar, but Land Rover is keeping details about the project hushed until March 1st, 2017 when the official unveiling will take place. Americans wanting to glimpse the Range Rover Velar in the metal will need to wait until the April 2017 New York Auto Show. For now, we have high hopes for the small-medium SUV due to its ability to keep JLR's rampant pace of growth on the uptick.